The new SoC has almost all the same specs, sporting 8 Kryo 360 cores, an Adreno 616 GPU, a Hexagon 685 DSP, Qualcomm's Spectra 25o ISP, and an X15 LTE modem. It supports the same 32MP single or dual 20MP camera resolutions, the same machine learning frameworks, the same 800Mbps LTE speeds, the same Bluetooth 5, etc. In other words, it isn't really delivering any big new features over the version announced last May. On paper, it looks like the 712 and 710 share a similar relationship to the previous 820 and 821, with some under-the-hood tweaks to eke out a bit more performance. As before in the case of the 820 and 821, Qualcomm is promising up to 10% performance gains from the new chip. Either way, that potential performance difference won't really matter here in the US until we start to get phones using either of these SoCs. 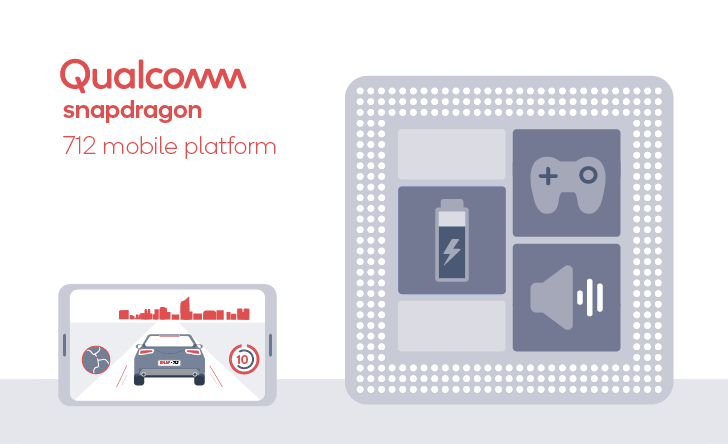 For more sordid, nerdy details, you can check out Qualcomm's full product brief and spec table here (direct PDF link warning).